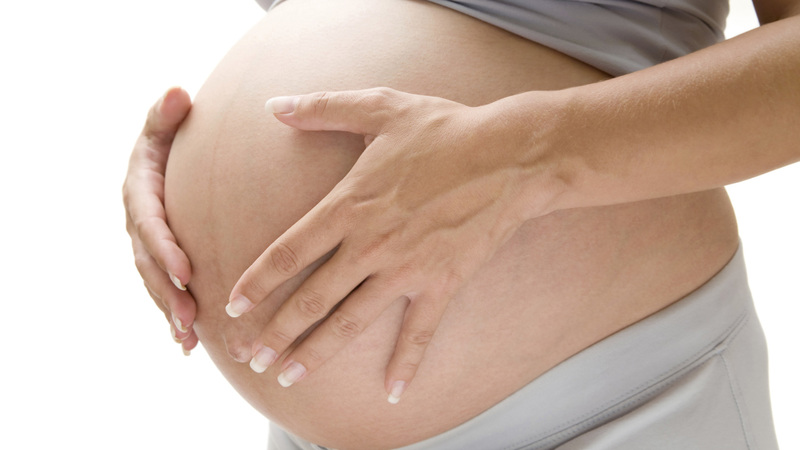 Can you use nail polish during pregnancy? Over the last few years there have been some controversial reports warning mums-to-be not to use nail polish as it could harm the fetus. This has left many women confused and worried, especially if manicures are an integral part of their beauty routine. The good news is that you can paint your nails while pregnant. The bad news is you have to be careful what polish you use. Dibutyl phthalate (DBP) is a chemical used in many high street nail-polish brands and some experts are worried that breathing in the fumes could be dangerous for unborn babies. However, there is no clear evidence of this and stressing too much while pregnant is not good for you or your baby. More often than not polishes also contain chemicals such as formaldehyde and toluene. Formaldehyde is used as a nail hardener and can irritate eyes, noses, throats and lungs of those who already have an allergy to it. Toluene makes the consistency of the polish smooth and is used by manufactures to make sure the polish gives a good finish. If you want to be on the safe side, choose polishes that don’t contain either of these chemicals – you can then paint your nails to your hearts content! If you cannot get hold of any varnishes free of these substances but still want to have pretty nails, use normal polishes but limit your use to once a week and open all doors and windows when painting your nails so the fumes are dispersed. When it comes to taking your nail polish off you should try to avoid all removers that contain acetone. Studies have shown that being exposed to this for long periods of time could lead to birth defects. However, the chances are tiny and unless you work in a nail salon it is very unlikely this would affect you or your baby. Other products you should try to avoid while pregnant are decorating paints and oven cleaners as these can contain solvents that on occasion have been linked to birth defects in children. The best way to make sure you are away from both these chemicals is to hand the painting and cleaning over to your partner and leave the house, keeping well away from any fumes, for a well-deserved lunch with your girlfriends! Drinking alcohol while pregnant: Safe or risky?